With Professional Tutor Marchie Hya Condon in Carrara, Gold Coast. Born and raised in Hungary and migrated to Australia as a young adult with my small family. I adore the sea, the air, the space, the climate, the lifestyle and the opportunities. I believe “every day is Christmas in Australia”. I love board games and uncontrollable laughter with loved ones. I most love to bring sense of empowerment, wellness and balance to myself and others by any means, but mostly through sound. I love to daydream and ‘see’ energy behind all. 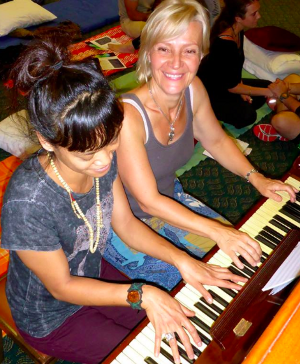 I love to share sounds that transport us to faraway, blissful places, elevate joy and restore wellness. I enjoy creating organic gardens, yummy foods, soups, green smoothies and avocado chocolate desserts, artworks and quirky things. I love to frolic, laugh and make people realise how great they are – especially playing the piano! I look forward to meeting you and helping you grow your love of the piano too! Marchie is a university graduate qualified teacher in Piano, Music Theory Tuition, Aural Training and offers AMEB Exam Preparations for those learners who reached competence at their learning level. She advises parents when she thinks the pupil is ready. Those who are following her guidance usually achieve high success rate on their exams. Marchie also has a passion for Literacy, Numeracy Foundations and Special Needs Care. STEP 1: Email your booking request to sound@marchiespianoschool.com.au or Call / SMS Marchie on 0402 878 764. After your complimentary meet and plan assessment, if we find we are compatible to work together, we can then work out your best lesson time with me. STEP 2: Book your lesson time. 2019 will have 4 Terms and 40 Teaching Weeks. My available days will be Tuesday to Friday – Mondays will no longer be available. Please, nominate 3 possible lesson times that may work for you on the time chart that was given with your enrolment form. Please, do this with an extra 30minutes ‘padding’ before and after your preference. Put 1, 2 and 3 in order of preference. While every effort is made to accommodate your most preferred request, this may not always be possible. If your child is older than 9, please, include one time later than 4.30pm. As younger children will be scheduled earlier so they can still concentrate. Once your lesson time is confirmed, now you are ready to purchase your package size that best suits you. STEP 3: Select your lesson length & package below and proceed to payment with EFT, (Electronic Funds Transfer = from bank account to bank account). Please, note, I no longer offer pay gateways, like PayPal, Stripe, Square, etc.. or card payment options just ‘plain old bank transfer’. While it seems ‘leading edge’ to have those E-options, the handling fees, surcharges seemed to add up. BANK DETAILS TO DEPOSIT ALL TUITION FEES: Marchie Hya Condon – Marchie’s Piano School, ING Bank, BSB 923 100 Account: 6469 2576 Please, note: Payments are due before or latest, ON the day of Lesson 1. There is a window of 2 weeks that will allow you to pay your fees unhurried and in time. Late payments incur a $15 fee payable ADDED TO the late tuition fees. Perhaps you just want the one-off or occasional lesson? Your child is bored in the holidays and want them to have an other lesson or two? Or want to purchase a few lessons as a gift for someone? No problem! You can purchase your package, and simply book in for each lesson when you are ready by contacting me (below). Please, note, during school casual (and regular) lessons for adults are only available in the morning, during the day, or early evenings, not in the afternoon teaching blocks. With the “Terms System” re-established, if you wish to have extra holidays lessons at any time, you can ‘pay on the day’ cash. My Current Holiday Schedule and Availability for the last make ups and for new holiday lessons: The first day you can book a holiday lesson will be Wednesday, 16 January 2019, I will be available for 3 days/week for 2 weeks on 2Wednesdays, 16th and 23 rd Jan, 2 Thursdays, 17th and 24th Jan, and 2 Fridays, 18th and 25th Jan, always between 8am and 1pm, Please Email or SMS your request in advance to avoid disappointment. Commencing from the 20 November 2018. Please note that all piano lesson times are given out on a first-come, first-served basis. Existing students will have the chance to renew their enrolled status BEFORE any unfilled spots are then given out to new students. Existing Students Enrolling: To secure your spot for next year, please, request your form, fill it out and return it with the required fee by the 8 December, 2018. That is $100/registration/family, from which $15 non-refundable and $85 goes toward the 1st payment of the year whichever that is 10, 20 or 40 weeks. Those who paid for their tuition in bulk recently and still will have some credit it will roll over into the new year or into holiday lesson fees whichever comes first. Days you can chose to have your lesson: Tuesday – Friday. Monday will no longer be available. You can enrol your children before or after school: I have 3 mornings, Tuesdays, Thursdays and Fridays 7.00am – 8.30am and four afternoons, Tuesday, Wednesday, Thursday and Friday 3:00 – 6.00 or 6:30pm. Please, see and fill the given lesson scheduling sheet. For adults I will have some vacancies for regular weekly lessons during daytime, either Wednesday, Thursday or Friday or early evenings. 3 late lesson spaces will be flexible to use for making up the occasional missed lesson due to medical absence limited to 1 make up each term. New Students Enrolling: Please, submit your interest to enrol, and you will be contacted with the answer during the week starting from 2 January 2019. If I am unable to enrol you, you will be able to research and locate a suitable teacher during January, 2019. If I have a space for you, you will be required to pick up the enrolment form in the 1st week of January and return it by 10 January with the registration fee. $100/registration, $15 non-refundable, $85 goes toward the 1st payment of the year whichever that is 10, 20 or 40 weeks. Adjusted to the MINIMUM RECOMMENDED PROFESSIONAL FEES (MRPF) by the QMTA (QLD MUSIC TEACHERS ASSOCIATION). Please, see https://www.qmta.org.au/tuition/ However, to keep prices FAIR, the “20 lesson packs” are set onto the exact minimum recommendation ($35/30mins lesson) and the “40 lesson packs” are remaining UNDER the minimum recommendation. Answering phone: With any matters, please, do not call only SMS after 3pm as I am busy teaching. My phone is only on for the parents for that afternoon. I also do not make or receive phone calls unless it is relevant for whom I am working with. Invoices, Receipts, Late Fees: I am trialling a new Invoices/receipt system. Next year the Invoices will be sent out for you 2 weeks prior lesson 1 starts. This will allow you to organise payment in this 2 weeks window. Late payments will incur an additional $15 fee(!) and will be payable with the late tuition fee. No more SMS reminder service: Please, enter your upcoming lesson and payment dates into your phone calendar as I no longer will send out lesson reminders. Lesson Procedures/Arrival/Ongoing Lesson: As the teaching studio and the waiting area are in one space, I became aware that ‘the studio waiting area’ is completely unsuitable for any verbal interaction when the next student arrives, as it considerably disrupts our ongoing lesson and concentration by the piano. Please, respect each others’ lessons! Converse with friends, acquaintances or make/receive phone calls outside of the learning space. This ensures to maximise the quality of contact time / learning by the piano for when it is your child’s turn. As this is very important, thank you in advance for your understanding! Unless we made an alternate plan, please, arrive close, about 3 minutes prior to your lesson start to get ready, wash hands, use restroom, etc. Please enter very quietly through the main entrance. First lesson of the afternoon: If you come through the gate early (tailgate) without ringing in, please, do not knock, pass your time by the lake. If urgent, use the restrooms by the Summer House (near the entrance – by the pool) and to respect our privacy. Only walk through our property to the back of our house if I know about it. Otherwise please use the steps to the lake on the outside of our fence and arrive to the front door when your lesson starts. Siblings of students: Please, go out if weather allows, read, walk with your little ones outside, bring some activity materials or otherwise keep your little ones engaged, unless they are able to read or colour inside QUIETLY. without affecting the flow the lesson. Please, leave gum, non-water drinks outside the studio. Water bottle or food by the table is fine. Everyone is encouraged to make themselves comfortable, however, please, kids, NO SHOES ON THE FURNITURE! While I was not strict before with shoes off by the door, children, if you are planning to sit down on the lounge, please, take your shoes off by the door. Thank You in Advance! Student Commitment – Weekly Practise: Regular practice is imperative to learn how to play proficiently. Around 20 minutes of practice, 5(!) days a week would be ideal for lower grades and 45mins to an hour recommended for intermediate grades. More is not always better (if it lacks thoughtfulness!) but in different phases of our learning journey, for example during exam preparation, more practise is mandatory. Purchase of Books: I do keep some of the books for purchase, if so, I do let you know and you can buy what you need, when you need it. If I don’t have something on shelf, please, visit our local, wonderful music shop and put your order in via calling them or in person. The shop is OZWINDS, Gold Coast Brass and Woodwinds, Address: 2/25 Alicia St, Southport QLD 4215, Phone: (07) 5561 1773 – KAREN AND ROB. Tell them I have sent you. 🙂 Some books that I will be trialling next year are best ordered online. Photographing / Videoing Lessons, Events: As I am in the process of building an online school as well, I understand that images and short videos are the way of future education. When something has much teaching or fun value, with your permission I wish to share it on an appropriate, professional platform such as on my Piano School FB page on our closed teaching groups page or on my website. Please, mention to me if that is OK with you. Missed Lessons: As your Term Payments hold your permanent lesson space, refunds would cancel your enrolment and your space would free up for an other student to take it! Any other missed after school activities, whether it is art, swimming or dancing, – just to name a few – are all the same. They do not provide reschedule opportunity. To be eligible for a make up lesson, please, let me know of your absence early. If you require it, 1 Lesson /Term can be arranged with me after your absence that was illness related. The times allocated for this are early evening, Tuesday, Wednesday or Thursday 6.30-7pm. If you are not able to organise the 1 make up lesson you are eligible to have within the Term, the opportunity will expire on the last school day and no longer carries into any of the holidays. If other family emergency, school events or family vacation prevent you from attending, your early notice is still required to maintain your enrolled status and also non-refundable. Illness: You are asked not to attend your lesson and please, notify me asap. You are eligible for 1 reschedule/Term as it is outlined above. Students who are mildly ill can schedule a Skype or ZOOM lesson during their regular time. More on this later as I learn it 🙂 From 2019 I anticipate, that a swapping system will supplement support for you for rescheduling when you need it. As I will no longer send out weekly SMS reminders, please, send me an SMS if you have to swap your lesson time so I can provide the detail of the parent who would be helpful for your SWAP. While I can not guarantee that it works every time, I did hear success stories of this system from other piano teachers. Swapping System: As our school is growing, I started to realise, providing make up lessons other than during lesson days for any reason at any time virtually – especially in my weekends or in the term breaks became an unending task. I started to feel too tied down in unstructured ways. I do need more time for working on my own creative ideas and have study AND family time. I am sure all of you would relate and understand this. So, I researched ways of maximising your lesson times, and found the SWAP System that could cater for all other absence beside the one make up that I provide /Term/sick day, may it be a family emergency, medical appointments that isn’t sickness related on the day, school events, play dates, games, non-emergency appointments or family vacations that would keep you away from attending your lesson. Please provide 48 hour notice where possible. A buddy system between you parents, may ensure that your child’s learning progress is not compromised! When you are unable to attend in your lesson time you could swap lessons directly between each other. Example: You have an urgent dentist appointment at 3pm and there is a long waiting list to see that doctor so you will not reschedule, but, your lesson is at 4pm – if you could swap it with the 5.30pm lesson or better, change the day, you could attend your lesson without having to cancel. Please, let me know if you would be happy to trial it. You can OPT IN or OUT any time. Thank you for your understanding! My Travel Make Ups: As you know, we have ties to Europe, and while every effort is made to ‘squeeze’ our travels into school holidays I am letting you know, that I may be away for several weeks each year in which case I am ALWAYS offering to make those lessons up before leaving or after my return or by then via my online piano school where you will be able to see recorded lessons that is relevant to your personal learning. That way the kids don’t miss out, the progress continues. Changing Lesson Time During The Year: Circumstances, afternoon activities, work etc can change, I understand. Sometimes it takes much shuffling and can be time consuming to deliver what you require. In the case of requesting to change lesson time during the year I can not guarantee it, but we can always try. If we succeed, it will cost $15 admin fee. 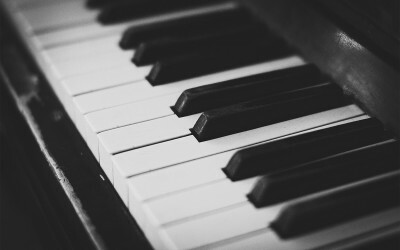 Discontinuing Piano Lessons: If you stop your tuition for any reason, your fees needs to be paid for all of your lessons that you are finishing off. 1 month minimum notice is required to be eligible for refund if applicable. 2 weeks notice required before the term ends and lessons are paid in full. Finding myself bullied about the timing of an exam against my recommendation – I can only recommend to follow my guidance! I intuitively seem to know when a child is ready for the best mark! Lack of progress due to ongoing insufficient practise – Please, do not enrol your child to learn a musical instrument, if there will be no time to practise! Sometimes parents over extend their children’s after school activities and life becomes an unnecessary hurry and sense of futility. If your child always arrives exhausted you are wasting your funds, my time and inspiration and mistakenly, your child’s sense of belief in their own abilities. 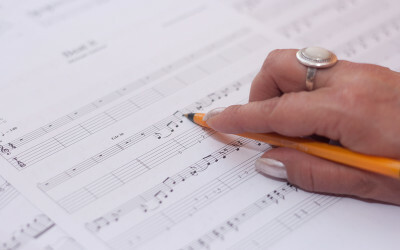 I don’t seem t have a choice but to put some experience-based feedback out, so you can make an informed decision when you are starting to shop around for the right music teacher.. To only teach 3 pieces of piano music a year to a child, because that is the requirement for exam preparation is wrong on so many levels! Please, share your feedback if you had any experience with this topic. Thank You! Before I begin with any new students, I like to be sure that we are a good fit and get to know the student a little bit – understand where they’re at, what they’re hoping to achieve, etc. This 30 minute no-obligation meeting is complimentary, and also allows you to get a feel for how I work and decide if we are a good match. To book in for your first complimentary meeting, simply contact me below work out a mutually suitable “meet and greet” time. I look forward to meeting you soon!